This winter began pretty much the same way it ended, with people thinking about mowing their lawns. Those thoughts were squashed at both ends with abrupt changes from warm and sunny to cold and snowy. In this week’s column I will review the winter season and see how it stacked up against the historic records. In brief, I am sure everyone would agree it was warm and relatively dry. But here are all the details to put it in perspective, from beginning to bitter end. Think back to the first week of November, when temperatures were in the lower 60’s in Jackson, and in the 50’s for the start of the second week of November. The grass was green, the birds were chirping, and no one was thinking of heading south. Heck, it was 54-degrees on Sunday afternoon November 9th. Then it snowed the next day. Five inches in town, over a foot in the mountains, followed by record cold temperatures for early November. Overnight lows in Jackson got down to 22-below zero on November 16. So much for mowing the lawn, everyone figured it was “game-on” at that point. Some headed south, others waxed skis. November snowfall finished strong; with almost triple the normal monthly snowfall in town, 28 inches compared to an average of 10 inches. November was also more than three degrees colder than normal. And it would end up that November was the snowiest month of the season, and the only one with below normal temperatures. December was about as close to normal as you can get for snowfall in town, with 19 inches in December 2014, compared to an average of 18 inches. In the mountains, at the bottom of Rendezvous Bowl at JHMR, there was 76 inches of snowfall, normal December snowfall is 79 inches. December started the trend of warmer temperatures, ending up four degrees warmer than normal. January temps were only one degree above normal, when you compare monthly mean temperatures, that is, the average of the monthly average high and low temps. February was the fourth warmest on record in Jackson, with the mean temperature for the month a full eight degrees above normal. Total snowfall in town was only four inches, well below the norm of 12 inches for the month. February snowfall in the mountains was well below normal also, with 48 inches compared to the average of 67 inches in February. March was cold for the first few days, then whimpered heavily as we hit a spell of warm and dry weather that lasted from March 6th through March 23rd. That spell peaked when we hit 60-degrees for the first time this year on March 16th. Hardly any snow fell in town, and the grand total for the month was just four inches, less than half the average of nine inches. The mountains didn’t fair much better, with a total of just 23 inches at Rendezvous Bowl in March. Average March snowfall is 65 inches at that location. Not the grimmest March ever in the mountains, that distinction belongs to March of 1994 with just 16 inches. March of 2007 was another bleak one, with only 18 inches of total snowfall up there in March. For the four-month period, December through March, the Town of Jackson had 40 inches of snow or 68-percent of normal, the average is 59 inches. However, if you were to include the snowfall we got in November, that would push the total snowfall to 68 inches. Normal snowfall for the five months is 69 inches. So, that would mean we had a pretty normal “snowfall season”, with 99-percent of our average snowfall for November through March. How about that for a stat! Same thing was true with the water in that snow, December through March was 74-percent of normal for the four month period. Toss November’s water in there and we were 96-percent of normal precipitation for the five month period. The mountains received 202 inches for December through March or 68-percent of normal, the average is 295 inches. If you pile November’s snow on top of that, it brings the entire season’s snowfall total up to about 81-percent of normal at JHMR. Once again, November carried us through an otherwise dry winter season. Temperature-wise this winter we ended up about 4-degrees warmer than normal in Jackson, when you look at the average mean temperature for the four-month period, December through March. The historic average mean winter temperature would be about 21-degrees, this winter we had an average mean temperature of 25-degrees. That would make the Winter of 2014-15 the sixth warmest winter on record in town. The Winters of 2004-05, 2002-03, 1999-00, 1994-95, and 1952-53 were all warmer than this one, for the four-month period. That is still quite a feat to string together four winter months in a row with above normal mean monthly temperatures. We should count ourselves lucky, compared to many other areas around the Western United States this winter. Our snowfall was way ahead of everyone else, west of the Mississippi, and temperatures at elevation stayed cold enough to preserve the snow until the end. The Eastern United States was the complete opposite of the West this winter, much colder, and much, much snowier than normal. Looks like I’ve run out of space, so I will have to save any discussion of “why” this winter was like it was for a future column. For now, get out and enjoy your last licks of the ski season. (*Note: This blog post originally appeared in the JH News & Guide April 1 2015). 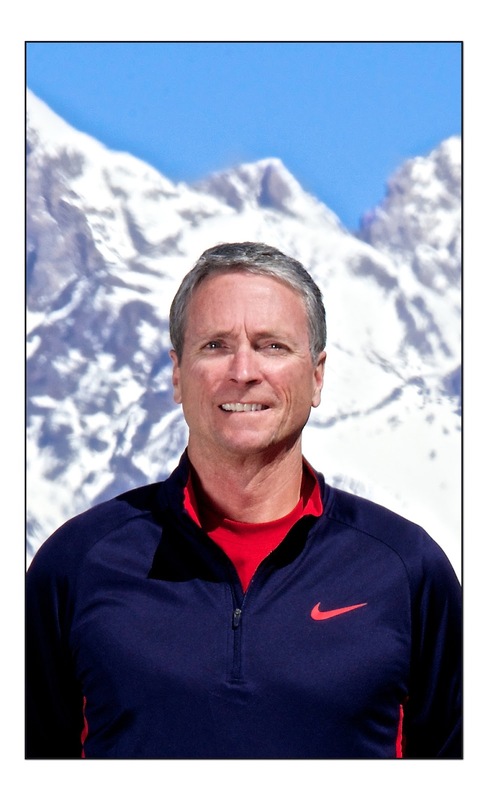 Jim is the chief meteorologist at mountainweather.com and has been forecasting the weather in Jackson Hole and the Teton Mountains for more than 20 years.